I finished the manuscript of my second book last Summer, and started the process of finding specific publishers. This book will sit at around 200+ pages and deals with innovating the church to thrive in a post-Christian world. There are not very many books that talk about translating the contemporary church into a new culture. Most try to connect to post-Christendom in order to attract back into known traditional Christianity. This won’t work as culture slowly loses any Christian memory. Within 20 years over 1/2 of North America will boast no religious affiliation at all. The contemporary church is unprepared. My book will bridge this gap. When is it coming? 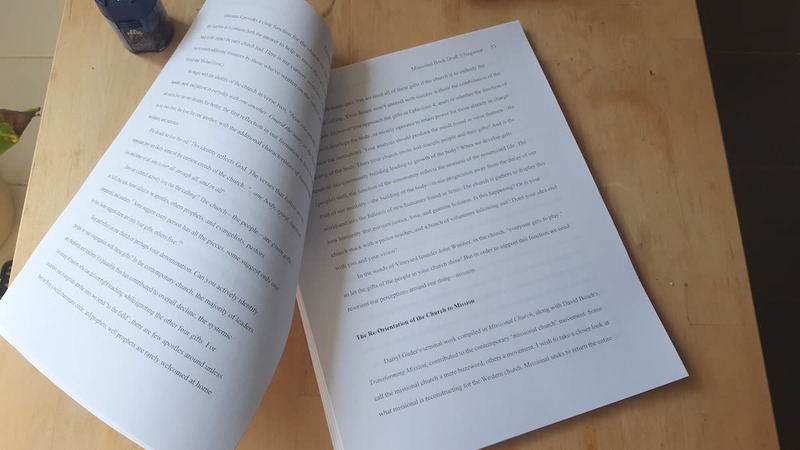 I did manage to get my manuscript in front of the publisher of my choice (thanks to a providential recommendation), and the feedback was good. But can I move thousands through my platform? Probably not. The intent from the beginning was to self-publish if my first choices didn’t pan out, so that’s where I’m at now. What can you expect? The process to publish has kicked into high-gear and a late-Spring/early-Summer release date is in order. In the ensuing months I’ll be releasing some new resources and chapter giveaways to whet your appetite. The best way to receive alerts about the book, and the content, will be through the newsletter. The best ways to support indie writers is by buying books and joining newsletters. They are assets we own that helps spread the word about new posts and upcoming projects. Please consider signing up for my monthly newsletter below. How many christian school libraries are there in North America? That should get you to the high 100s of copies right there. I believe, of the most part, they buy off a couple of lists ,but the librarian does most of the purchases.